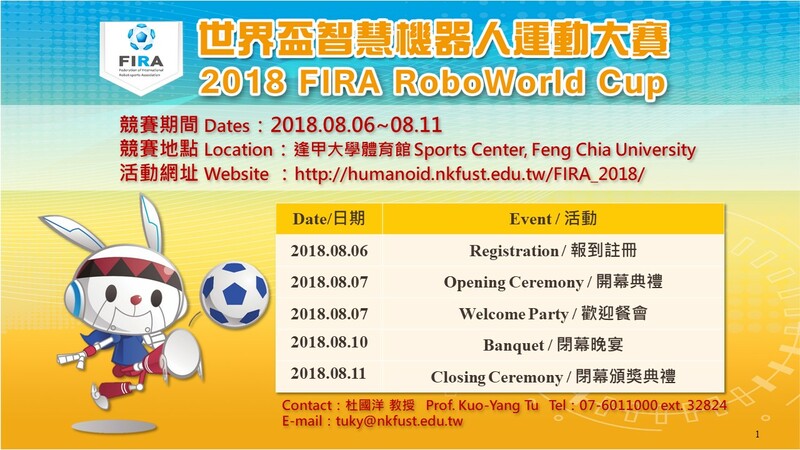 The international Fira congress and a robotics competition involving five categories: Micro-Robot Soccer Tournament, Amire, Naro, Simulated Robot, Android, Robo and Humanoid Robot. The Federation of International Robot-soccer Association [sic] or FIRA for short is an international organisation organising competitive soccer – usually 5-a-side – competitions between autonomous robots. Founded in 1997, FIRA organises the robot football World Cup.